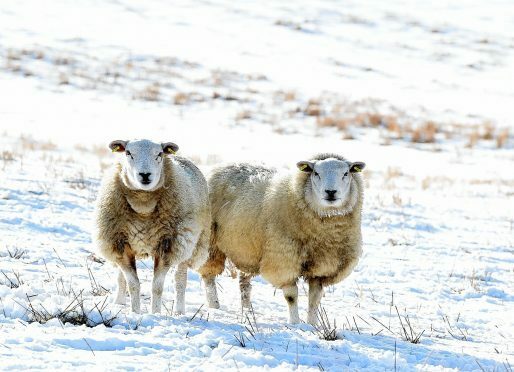 A north-east farmer has been left counting the cost after 11 of his lambs were killed in a brutal dog attack. The nine-month-olds were being kept in a field at the Philorth Estate outside Fraserburgh when they were targeted. The killing happened between last Friday lunchtime and last Saturday morning and it is thought to have cost farm bosses around £1,000. It has also sparked a police probe with officers attempting to find a large black and tan German Shepherd-type dog thought to have been involved. The dog was chased away and ran into a wooded area known as Kirktown Wood. Ronald Anderson, farm director at Philorth Estates, made the grim discovery last weekend as he went to check on the animals. He said some of them had died from fatigue after being pursued by the dog while others were left scarred. Mr Anderson said: “A lot of them had been chased and were exhausted and one or two had bite marks on their necks. “There was no sign of any person looking there for a dog when I discovered it. It might have been a rogue dog that had come from Fraserburgh. He said it was important for dog owners to take extra care when they are around livestock. Mr McCornick said: “We are seeing these kinds of serious incidents far too often and dog owners have to understand that if their pet is not kept on a lead around livestock it is very likely to chase and attack livestock. Police said they were trying to establish the circumstances of the incident and have appealed for witnesses to contact them on 101.